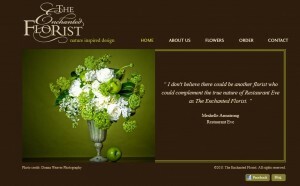 Design Burd Inc.Stop and Smell the Hosting Capabilities | Design Burd Inc.
Enchanted Florists signed up for hosting andÂ maintenanceÂ with Design Burd after working with Yahoo! Small Business. Within 3 hours we were able to setup new email and migrate the site to ensure the downtime by their previous site and email host could be resolved. !